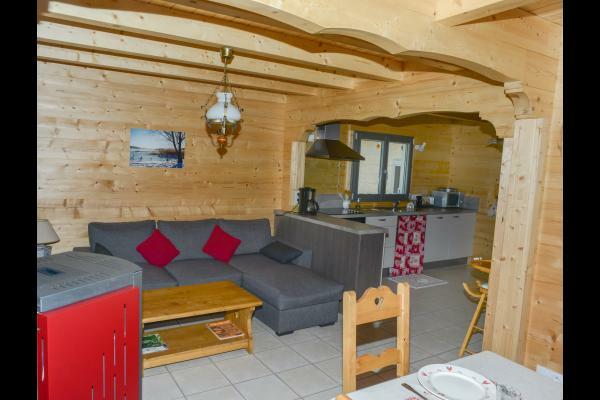 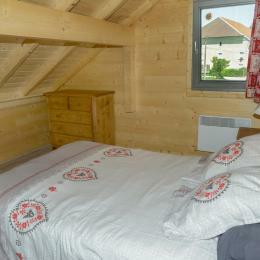 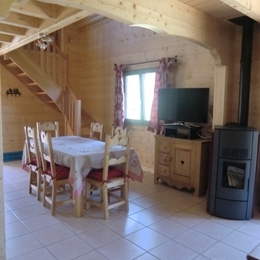 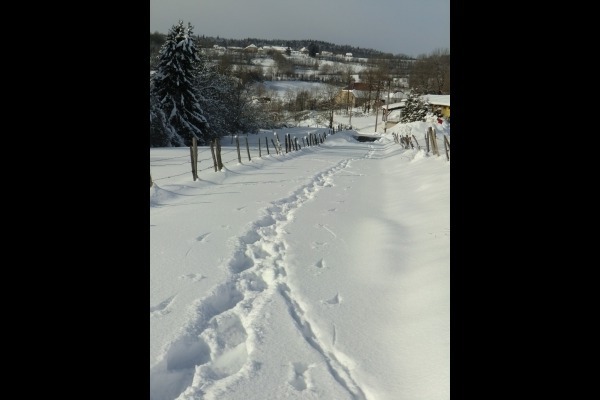 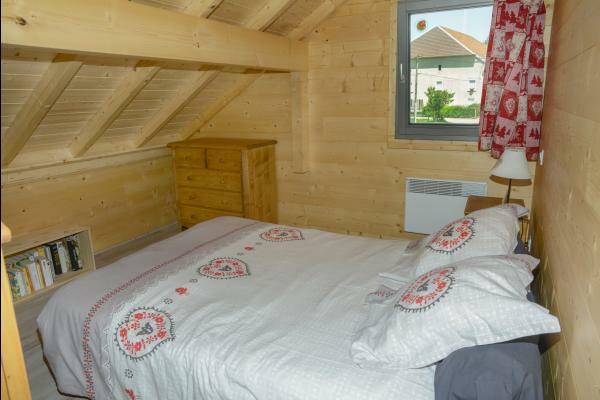 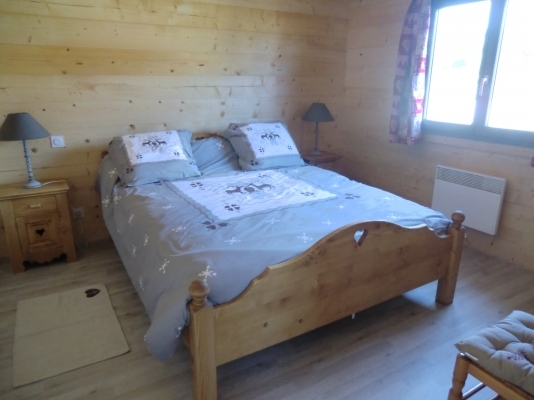 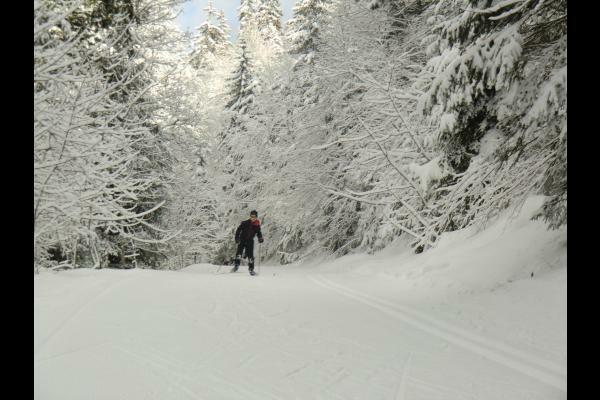 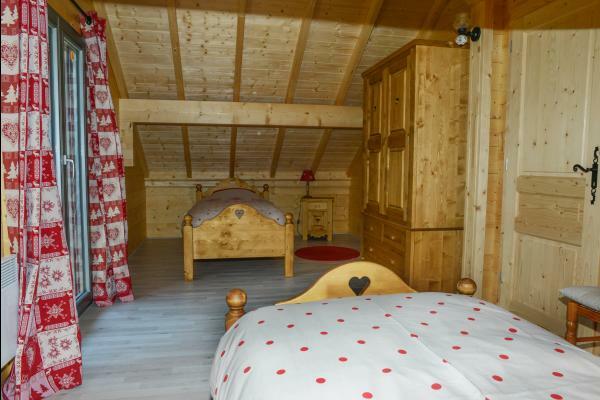 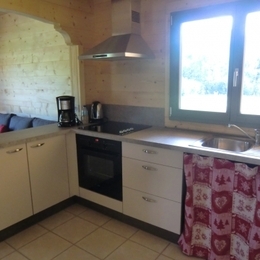 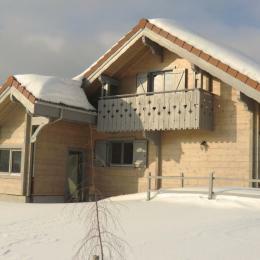 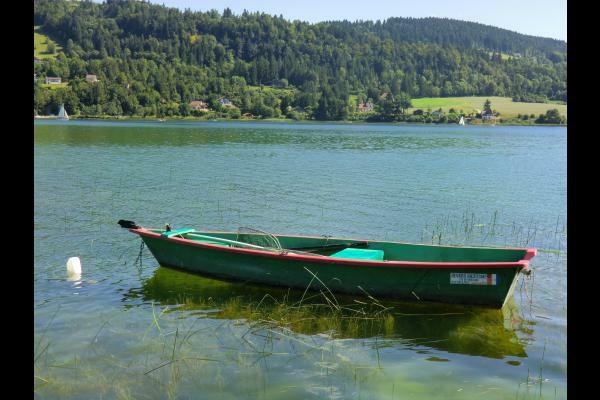 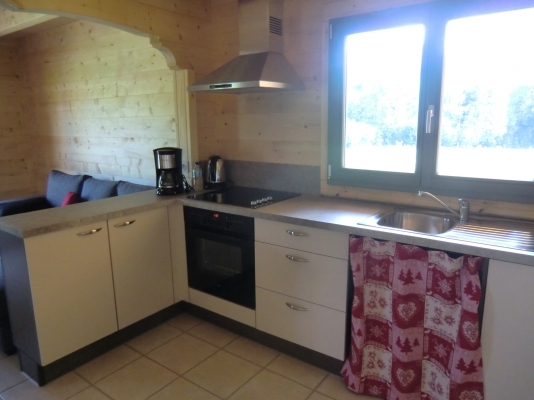 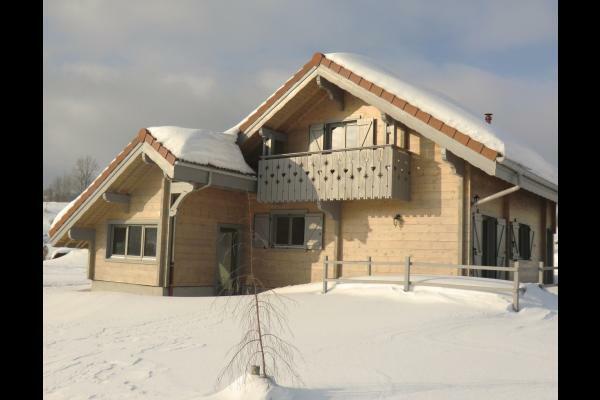 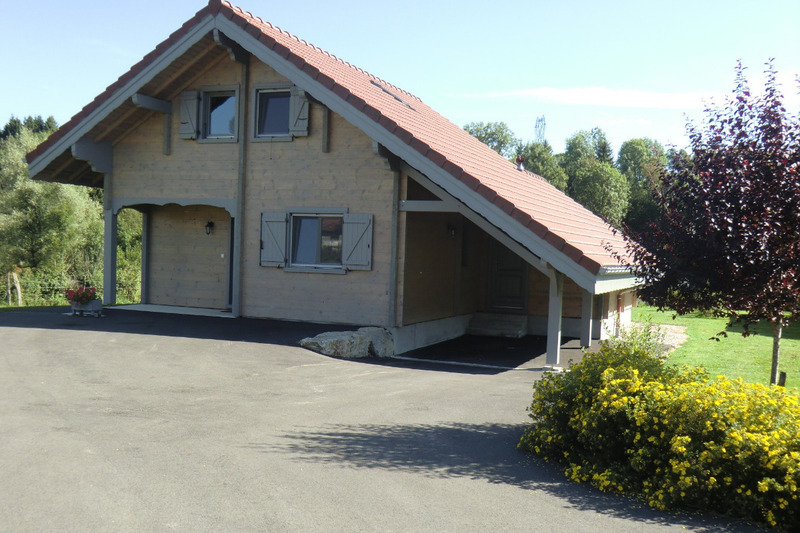 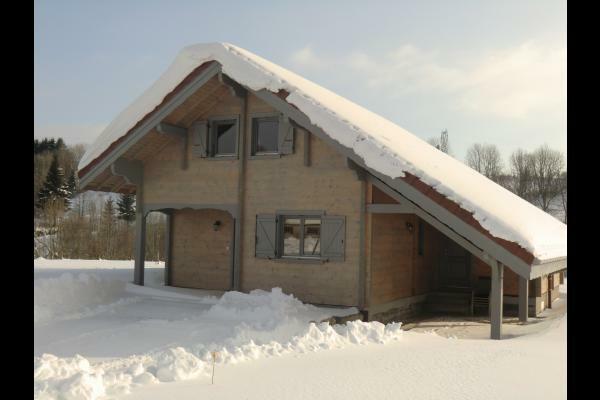 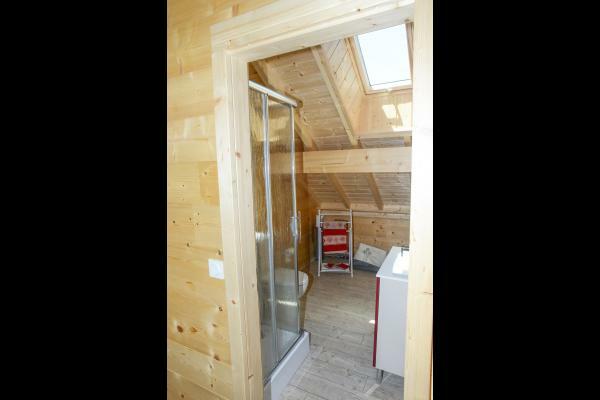 New chalet plank for 6 people located in a small village of Haut-Jura (accessible to people with reduced mobility). 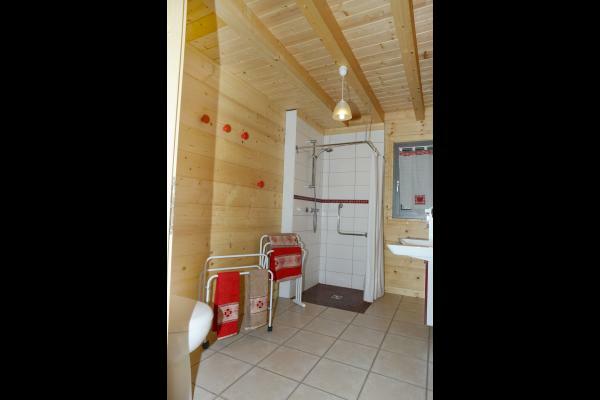 Ground floor: Private entrance, kitchen / living / dining room, bedroom (1 bed of 1.60m), shower and WC (walk in shower), pantry, private spa; First floor: bedroom with balcony (2 beds of 0.90m), sleeping area (1 Convertible 1.40m), shower room and wc. 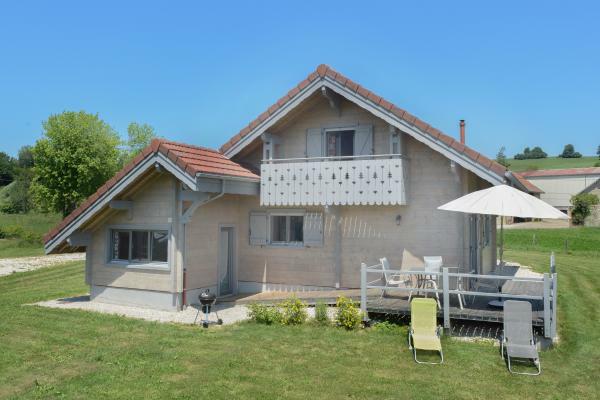 Private terrace and open yard with common playground to another cottage, carport and parking. 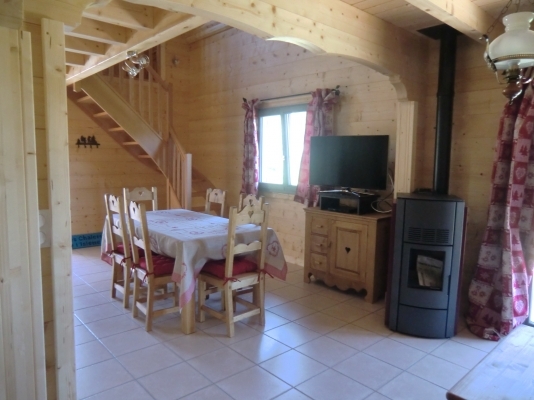 Heating: wood pellet stove + electric. 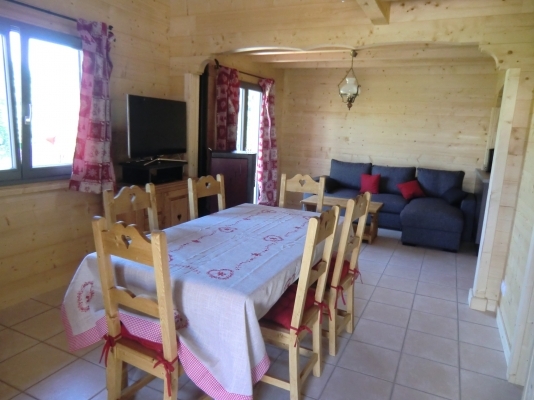 Facilities: wi -fi, dishwasher, washing machine, large TV, DVD player, small appliances. 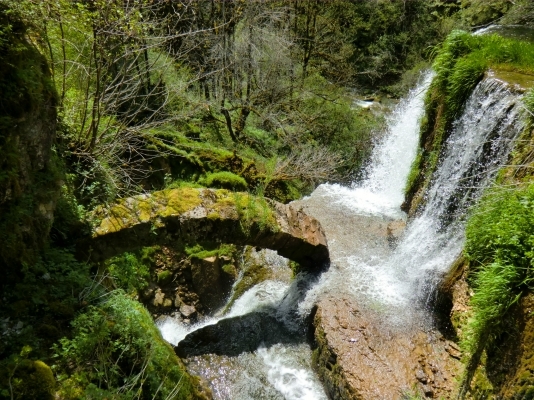 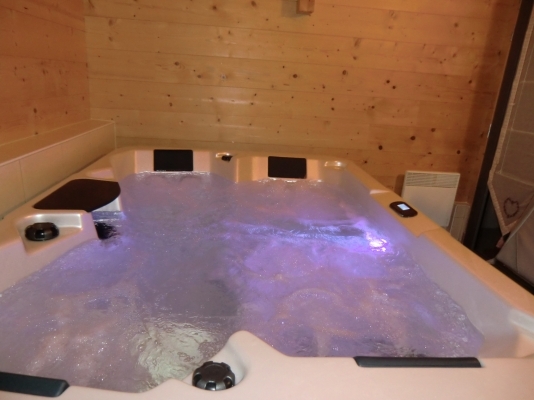 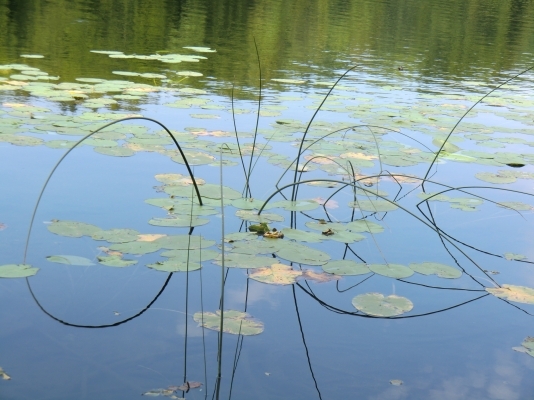 On request: Spa Access fee (100 euros / week, 50 euros / weekend), baby equipment (seat + bed), end of stay cleaning fee.